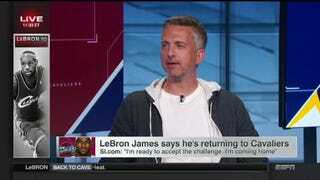 It's been nine days since ESPN suspended Bill Simmons for going on a mildly profane and not-at-all edgy rant about NFL commissioner Roger Goodell. So what's Simmons been up to since then? Based on his Instagram account (which he is apparently not banned from using, unlike his Twitter account), it seems like he's been having a real chill time. He had a real chill day at the beach. So, is there any secret message to be derived from these pictures? Nah. Simmons is just using Instagram to connect with his fans and let them, his fans, know that he's doing well and leading a really comfortable, relaxing existence while away from work. He really wants his fans to know that.